Can you describe Performance Culture? 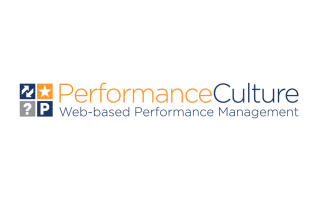 Performance Culture is a web-based performance management platform that helps managers and employees improve through continuous coaching, timely feedback and recognition. The key feature of our platform is our organizational scorecard (2 x 2 matrix) that identifies which employees are Stars, Misaligned with Company Culture, Have Potential and Underperforming. Like most new web-based applications, our company needed to build a proof of concept app quickly and cost efficiently. Our team had strong Database knowledge but did not have coding talent internally. Knack was the best option to consider since our 1st generation product could quickly scale using the Knack platform and could be designed without coding skills. We developed the database, workflows and graphical reporting all within the Knack application. The ability to customize reports through java scripts made this easy to do. Knack also enables us to scale to unlimited number of users without a price increase. We have used every Knack feature within the application. These features include User Roles, Workflows, Business Rules, API & CSS Customization and Webpage embedding. All features are valuable and easy to use! Knack is the best Database Platform as a Service out there. The core features of Knack are offered by competitors but the ease of use and cost efficiency are Knack's key differentiators. If Knack were taking on investors, I would invest! The support team has also been very responsive & friendly!